Tyson Fury must use the weight he has not lost to take the 'fire' out of Deontay Wilder's punching, according to Glenn McCrory. Fury has lost 10 stone in 2018 after spending more than two years away from boxing but made his comeback over the summer with two 'tune-up' fights against lesser opposition. And he is still expected to weigh in just under 18 stone while Wilder was just 15 stone, three pounds for his last bout and former cruiserweight world champion McCrory believes that is the key to Fury's chances on Saturday night in LA. "I shared the ring with some pretty formidable opponents - 96 rounds with Mike Tyson at his peak in sparring and also Lennox Lewis when he was coming up - but when I meet Tyson Fury, he gives me a big hug and puts me in a lock!" McCrory told The Brian Moore Show (weekdays 3pm-7pm). "He wraps himself around me and I just say 'let me go when you can, Tyson'. This is the problem that Deontay Wilder has. He's got to catch Tyson clean, which is very hard, and if he doesn't, Tyson is the sort of guy who will start wrapping himself around him. "He's two stone heavier than Wilder, who is very tall and long but not the biggest heavyweight. "Tyson has got to make it a messy fight. He's got to hold him, grab him and take the fire out of those punches. Once he's been lent on and pulled around, that power goes down. "And that's when Tyson can start to do his own work and build up the points with a great work-rate and build up to an epic win." 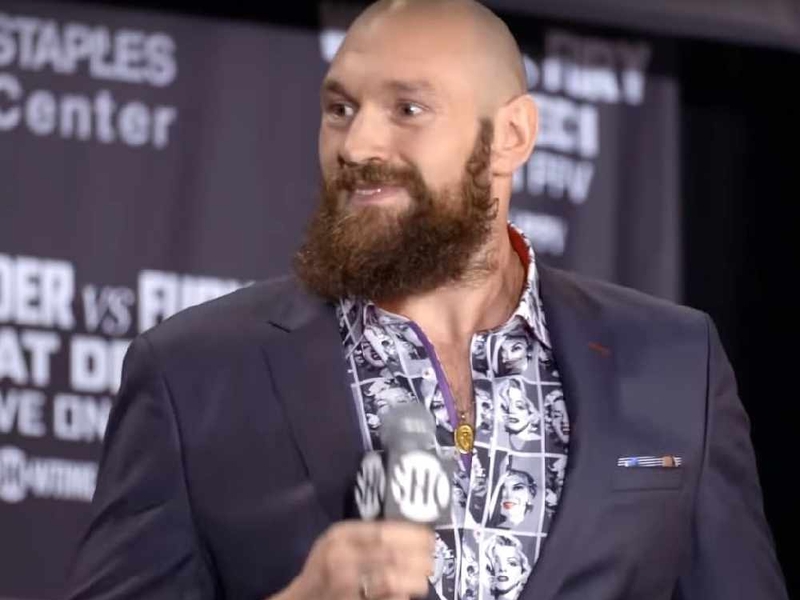 Fury's two victories so far this year have meant little in terms of the opponents he has faced, stopping cruiserweight Sefer Seferi after just four rounds and then going the 10-round distance with Francesco Pianeta, a man whose greatest achievement previously was lasting six rounds with Wladimir Klitschko in 2013. However, McCrory reckons Fury has made significant progress even since the August win over Pianeta and could be the man to end Wilder's 40-bout unbeaten streak. 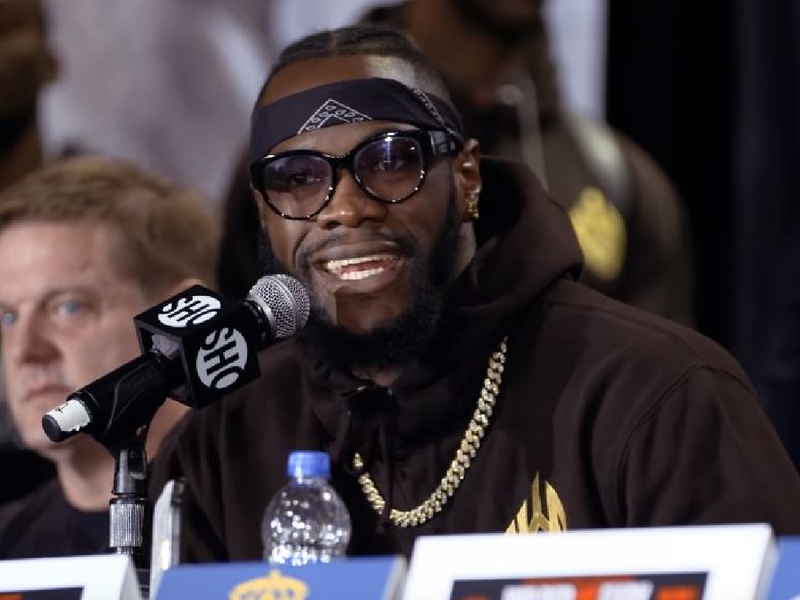 "It will not be a chess match, Wilder will make sure of that. It will be dramatic," McCrory added. 🥊 Former IBF cruiserweight champion @Glenn_McCrory gave @brianmoore666 & @jamestingray his predicition for #WilderFury. "Wilder is wild by name and wild by nature. He really goes for it, he throws himself off balance. "So it could get messy. You could see them both hitting the canvas. "Tyson has a way of winning but so does Deontay Wilder. Tyson is very, very smart and that extra size difference could be the factor. "I think Tyson will have to ride a few storms. He's going to have to come through a bit of fire. "He's going to get hit and he might even get decked and get hurt. "We might see him hanging on for dear life at times. "But he will get into the fight, keep working away and in the later rounds he will come on strong to take what I think will be a points victory, a hard-fought one but a champion once more."